Clay Pagoda (Buu Son Tu Pagoda) is a unique temple of Vietnam has 1991 big and small Buddha statues made entirely of clay. 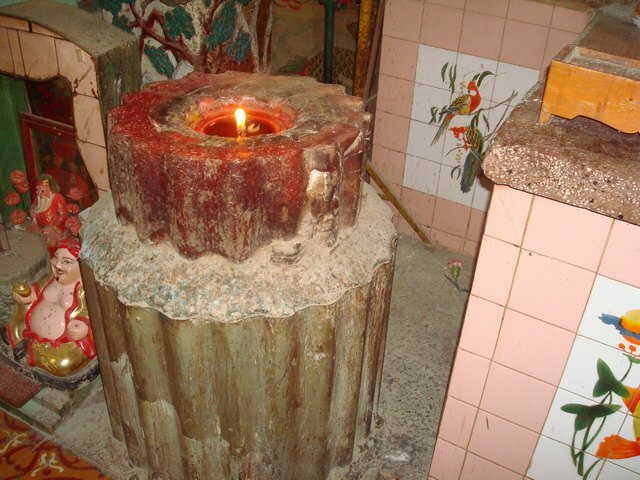 This Buddhist Temple also has “the record” of candle can burn about one century. The reason of calling Clay Pagoda is in the temple there are many Buddha statues were made of clay, and columns in the temple were made of clay as well. 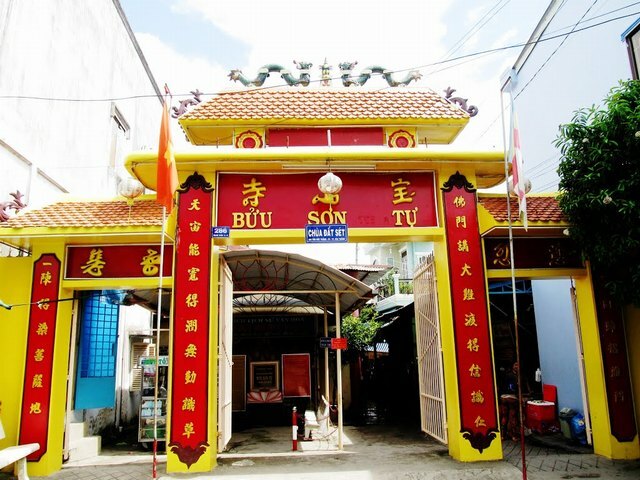 Clay Pagoda is located on Ton Duc Thang Street, Hamlet 1, Ward 5 – Soc Trang city, Soc Trang province. Clay Pagoda was recognized as a cultural and historical monument of nation by the Ministry of Culture and Information (former). 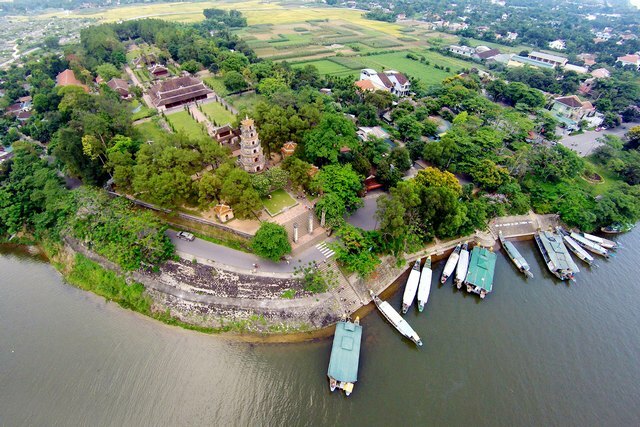 Clay Pagoda was built by Mr Ngo Kim Tay as the home religious establishment; the pagoda was renovated for the last time in 1906 with 24 columns by mangrove trees and thatch. 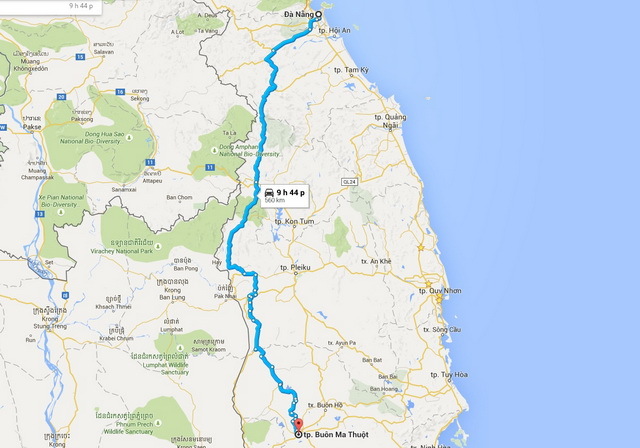 In 1909, Mr Ngo Kim Dinh had a son Ngo Kim Tong. But this man was very sick. When he was 20 years old, he almost died because of serious illness; his family could only take him to the pagoda to pray with Buddha. And then, Mr Tong did both yoga and medicine, he was better gradually. Ngo Kim Tong became a monk and the fourth abbot of Clay Pagoda. He was not in the college of sculpture or painting, non-formal teachers and school. He only studied through contemplation of folk experience but he created the sculpture works in clay which are very valuable in religion and history and very rare. Through the entrance, entering the front hall, there is a unique structure of Ngo Kim Tong: three religions community house was built in 1942 included: Adida Statue, Quan Yin Statue, Shakyamuni, Maha Kassapa, Confucius, Lao-tzu, Dieu Tri Kim Mau… the statue set were put on two floors with two pyramidal supporting columns carved the embossed dragon. Currently, Clay Pagoda is located on an area of approximately 400 m2. Triple gate was built solidly and roofing tiles. The Main Hall looked eastward. The facade of the main hall was constructed by modern material, there are two main columns carved winding embossed dragon look quite sophisticated. The rest of the main hall are “wooden columns and tole roof”, having no floors and simple structures. The pagoda roof is supported by 24 pillars. Each pillar was covered in clay, carved with a winding dragon and other decorations. 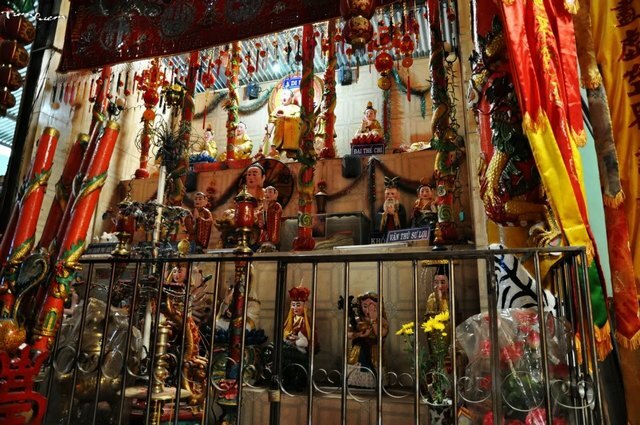 In the main hall, there are over thousands of statues of Buddha statue, fairy, saint, god … and holy animals made by Ngo Kim Tong during 42 years (from 1928 to 1970) for worship and decoration. All were made primarily from clay, mixed with powder of incense and O Duoc glue to protect statue from cracks, they were meticulously painted with paint and varnish. Clay Pagoda is not only famous by thousands of statues made of clay, the temple pillars were paneled with clay, but also known by 4 pairs of big candles were molded in 1940. Three candle pairs are 2.6 m high, horizontal 1 m, and were cast in 200 kg of wax. The rest pair is smaller, and each candle was cast by 100 kg of wax. A total is 1.4 tons of wax. To cast candles, Mr Tong had to use pure wax, cut in to small pieces, cooked into the liquid by pan, pour into molds (use tole rolls around). After a month, the candle was cool, he removed mold and decorated. Currently, two small candles still burn day and night since Ngo Kim Tong died (July 18, 1970) and having not finished yet. Averaged burning each candle day and night needs 70 – 80 years. 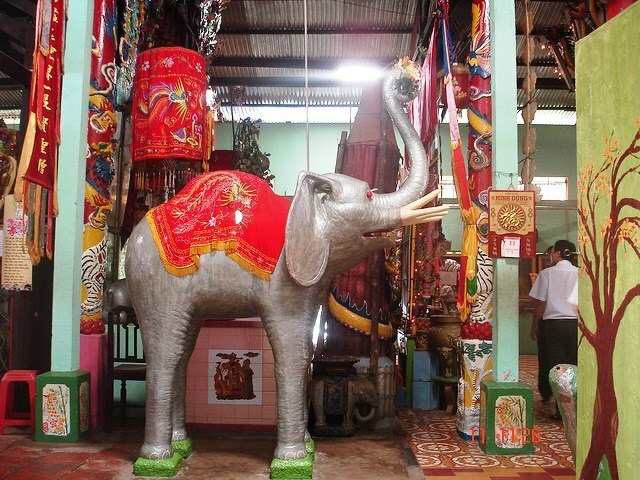 In addition, there are also 3 incense, each 1.5 meters tall, weighs 50 kg and has not burned yet. The statue of “Bao Toa Thinh Phat Tru The Truyen Phap Luan” has 1000 lotus petals, every lotus petal has a god dwells. Under the lotus has “Bat Quai Thien Tien”. Da Bao tower is 3.5 meters high; having 13 floors with 208 doors of gods, and at the foot of the tower has 126 dragons supporting the tower.